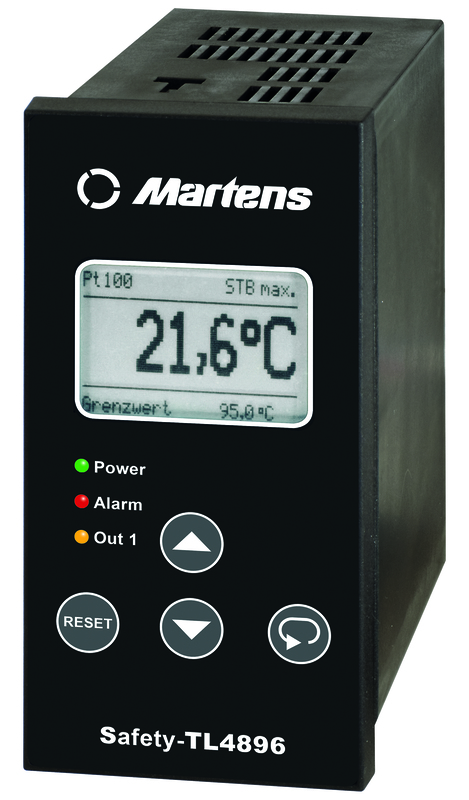 The TL4896 temperature limiter made by Martens for GHM Group and distributed by Val.co Srl, headquartered at Nerviano (MI) www.valco.it, is certified according to DIN EN14597, DIN EN 61508 and SIL2. It is used in boilers and heaters for the production of hot water needing a safety control on the temperature reached. Equipped with a wide lit display with well-readable text information and LED optical signals, its installation on the front panel in compact DIN format does not need a separate display. 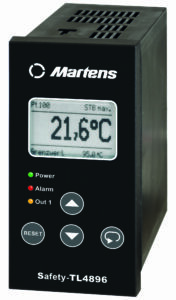 Other characteristics: output signal with analogue value for regulators and PLC that eliminates additional sensors; pre-adjustable alarm that replaces the redundant separate limiter to the PLC; the rest button positioned on the front part.